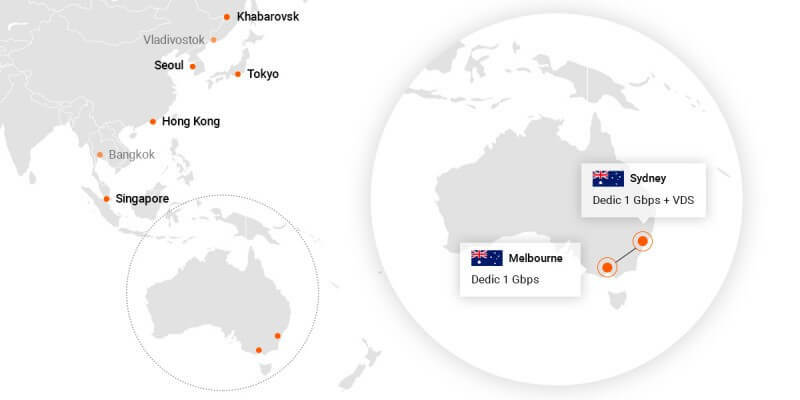 We have started selling dedicated and virtual servers in the two largest cities of the continent, Sydney (5 million inhabitants) and Melbourne (4.5 million inhabitants). With these two locations, we have achieved excellent connectivity across Australia. 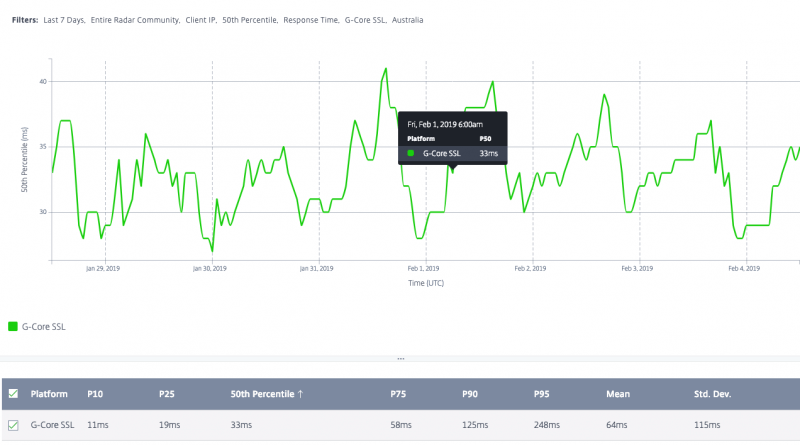 The average response time here is 33 ms.
Servers in Sydney as well as in Melbourne are installed in certified Tier III data centers. In both cities, prices for dedicated servers using 1 Gbps channel start at €135. We offer 10 TB of traffic free of charge when you buy any dedicated server. Additional traffic packages from 20 to 300 TB are available if needed. 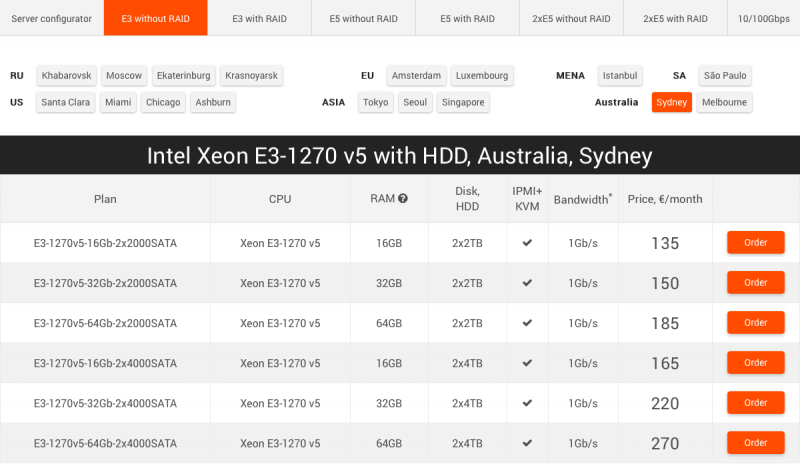 Virtual server with the minimum configuration in Sydney is available for just €4.49 per month. The price includes 500 GB of outbound traffic. Need more? 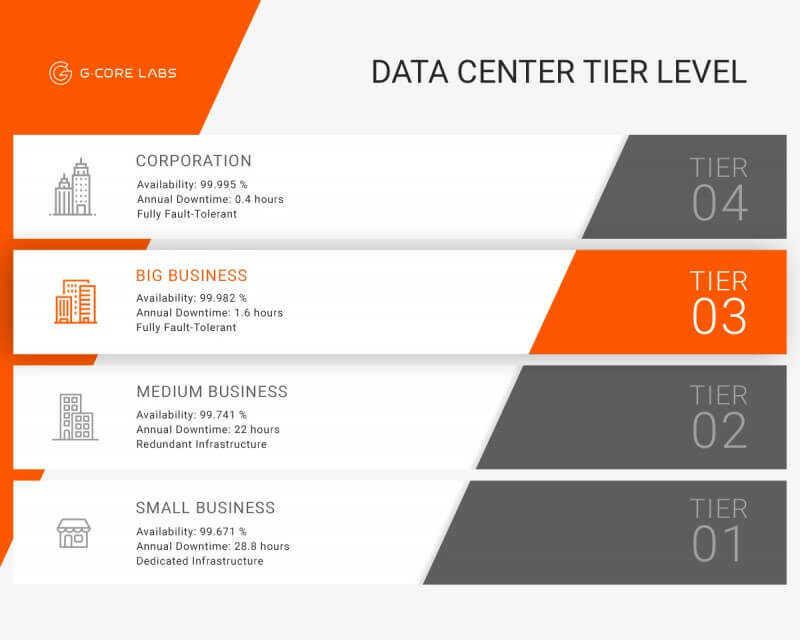 We have plans with traffic volumes from 1 to 5 TB. Simply select the appropriate configuration. We truly realize the importance of support in emergency situations. That is why we provide our customers with a permanent free access to IPMI of dedicated and virtual servers. System has crashed? No worries, you can always reinstall it on the fly remotely via IPMI. When ordering any server from us, you will save tons of time on installing the operating system. Most Unix and Windows systems are installed automatically after the server is ordered. Moreover, you can provide your ISO image and install the necessary operating system on your own. We have automated the purchasing process — the server is activated immediately after payment, so there is no need to wait. We have a wide selection of standard configurations that cover the needs of most customers. But if you want something special — an additional drive, more memory or a special server — we will assemble it for you — in a quality and timely manner and at a feasible price. Competent and responsive technical support will answer most technical questions in English, Russian or Chinese. In case of emergency, we involve technical experts who promptly solve the problem. 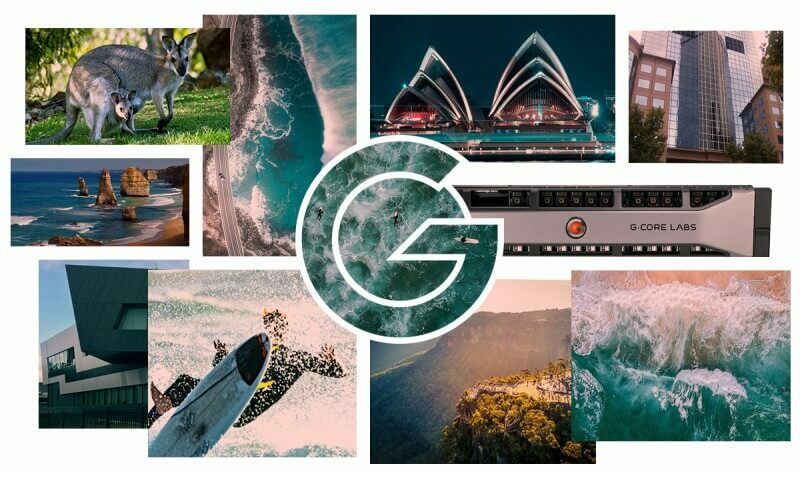 Select the best server in Sydney or Melbourne, sign up for additional options and gratify your Australian users and customers.